During the 1970's, a rapid shift in land use occurred in New Jersey. Land that was traditionally agriculture and rural was developed into non-agricultural and urban uses. With the construction of houses, industrial facilities and commercial sites came major land disturbance. The extensive development of land in the State of New Jersey has often been accompanied by damage to our natural resources. One of the most serious damages is the erosion of soil by both wind and water. To help address this problem the State of New Jersey adopted the Soil Erosion and Sediment Control Act, Chapter 251 on January 1, 1976. When soil is displaced unintentionally in this manner, problems are usually created in the area where the soil comes from and in the area where it is deposited. If a waterway or drainage facility is involved, silting of the stream or drainage facility occurs. The cost of correcting the resulting physical damage, pollution, and inconvenience is much greater than the cost of preventing soil erosion in the beginning. Fortunately, the technology for preventing soil erosion is well established and planners, engineers, developers, contractors and others are able to utilize this technology for both public and private use. The State Soil Conservation Committee as adopted rules for the Soil Erosion and Sediment Control Act. These rules are to implement Public Law 1975, Chapter 251 to secure timely decisions by the soil conservation districts on applications for development. The effective date of the Soil Erosion and Sediment Control Act Rules is February 20, 2014. Projects that are regulated under Chapter 251 must obtain a Soil Erosion and Sediment Control Plan Certification from the Soil Conservation District prior to the initiation of land disturbance activities. An application form must be submitted along with plans, appropriate calculations, and the required application fee. The District has developed a fee schedule for various types of projects. District staff works with developers and municipalities to ensure measures outlined within a soil erosion and sediment control plan are being utilized during the course of construction. Federal facilities are required to submit fees based on a separate fee schedule. Projects that may be exempt from obtaining a Soil Erosion and Sediment Control Plan Certification, should file a Project Exemption Application with the District prior to the initiation of land disturbance activities. The State Soil Conservation Committee also developed tools or guidelines to help with the implementation of the Soil Erosion and Sediment Act. Pursuant to the proposal in the July 2, 2012 New Jersey Register (44 N.J.R. 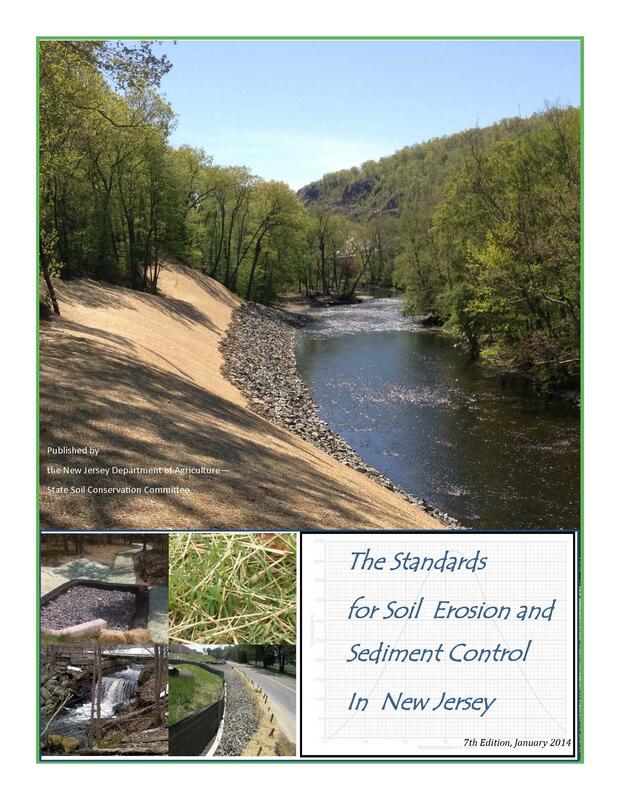 1813) modifications to the Standards for Soil Erosion and Sediment Control in New Jersey are provided below. Ten vegetative standards and 22 engineering standards are proposed as practices applicable to soil erosion and sediment control on land disturbance activities subject to the Soil Erosion and Sediment Control Act, N.J.S.A. 4:24-39 et seq. 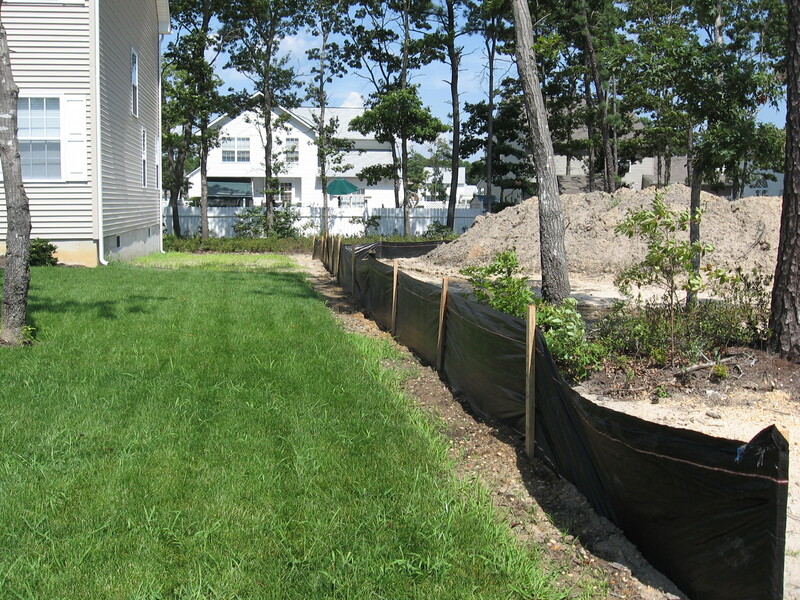 The "Standards for Soil Erosion and Sediment Control in New Jersey" present comprehensive techniques and devices to help prevent soil erosion and off-site sedimentation. These modifications have been developed with the assistance of two technical advisory groups comprised of representatives from professional engineering, building and landscape associations, Rutgers Cooperative, New Jersey Soil Conservation Districts, NJDEP, NJDOT, USDA-NRCS and other advisors. In accordance with P.L. 2010, Chapter 113 Soil Restoration Act, the State Soil Conservation Committee has revised its Standards for Soil Erosion and Sediment Control in New Jersey to include provisions for mitigating the negative impacts of soil compaction on construction sites subject to review and regulation by the New Jersey Soil Erosion and Sediment Control Act, N.J.S.A. 4:24-39, et seq. 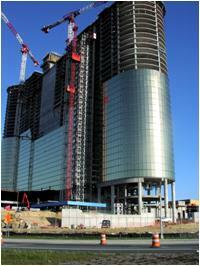 These provisions have been included within Chapters 8 (Topsoil) and 19 (Land Grading) of the Standards. 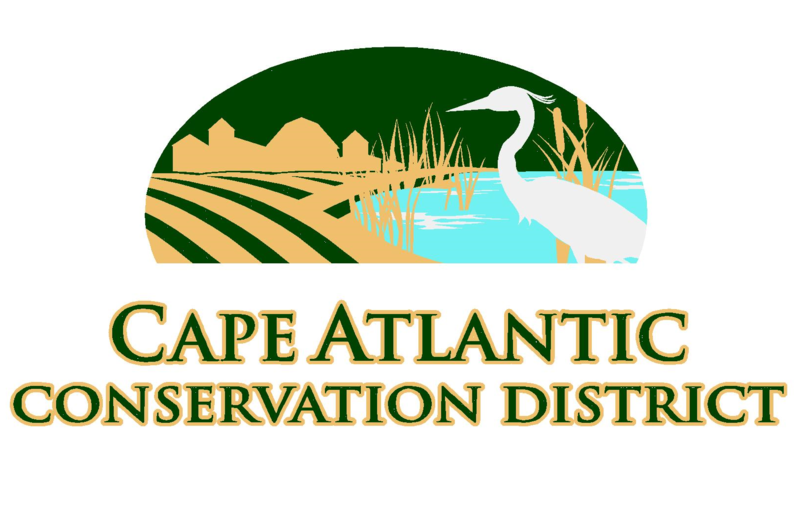 The Cape Atlantic Conservation District has developed a set of guidelines to assist the plan preparer with the Soil Erosion and Sediment Control Plans. These guidelines should be utilized in addition to the information found in the "Standards". Click here for the Soil Erosion & Sediment Control Plan Requirements for Submittal to the Cape Atlantic Conservation District. *Note: Some projects that disturb less than 5,000 square feet of land, but are part of a larger project, or plan of development may be required to obtain a Soil Erosion and Sediment Control Plan Certification.